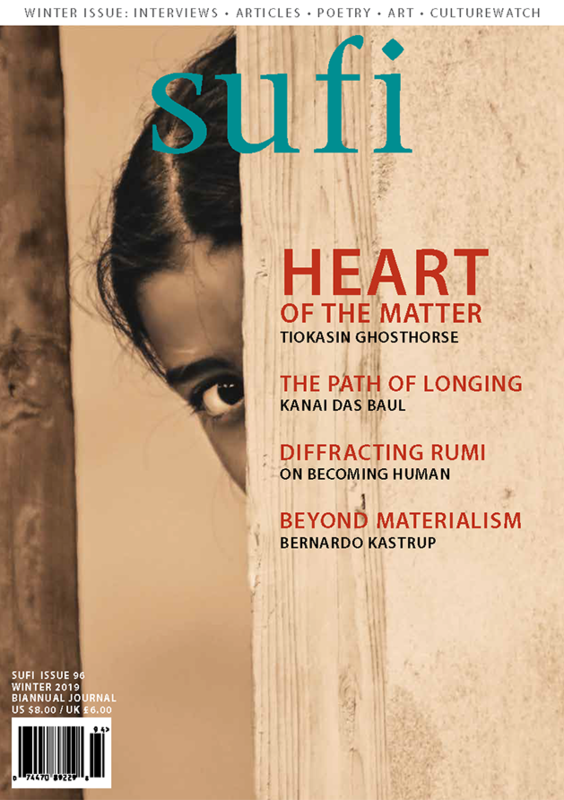 In Issue 81 of SUFI the theme is Divine Love. Here we explore what many would argue is the most confounding human emotion, love, and the mystery of its divine manifestation. Divine Love lies at the heart of spiritual practice; it is an experience that continues to enrich those who are touched by it, whether they belong to a school of mystical teaching or not. But explaining the experience of Divine Love can be difficult; words falter in its presence. It is also elusive, veiled from our ordinary perception, but then suddenly revealed in the words of a parable, the shades of light in a photograph, the silences between lines of poetry. 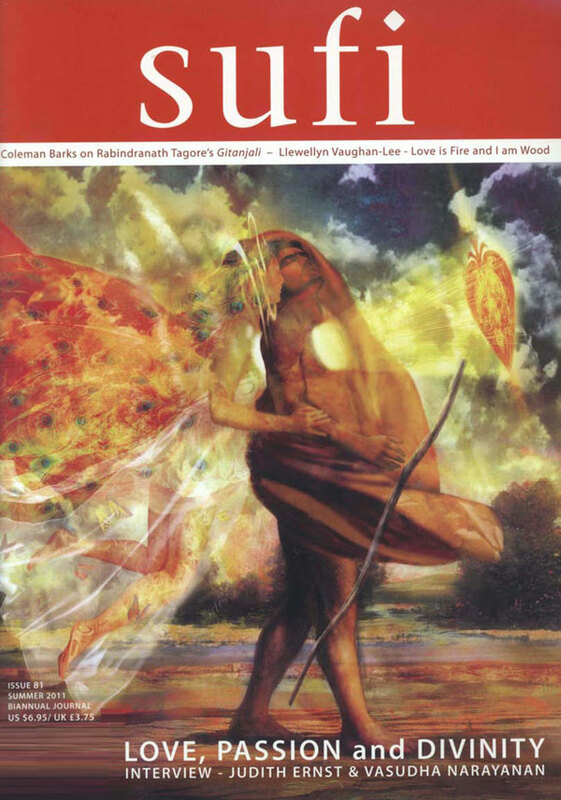 This edition of SUFI attempts to lift the corner of the veil and share glimpses of Divine Love through art and writings, including a meditation on the legendary lovers, Layla and Majnun; a discussion of mystical eroticism in the Christian and Hindu traditions; reflections on higher love expressed through the internet, photography, film and calligraphy; and Coleman Barks’ observations on the poetry and importance of the great Indian poet and mystic, and Nobel Laureate in Literature, Rabindranath Tagore. Print and digital subscriptions available. Buy SUFI now.